Topic: Old 3DO fan, new member!! Welcome friend....nice trade you did there! btw you are not the guy i took a dc katana some years ago are you??? wow,never seen that before...thanks for sharing for one more time! Some 3do goodness....far from completion but i am trying!! 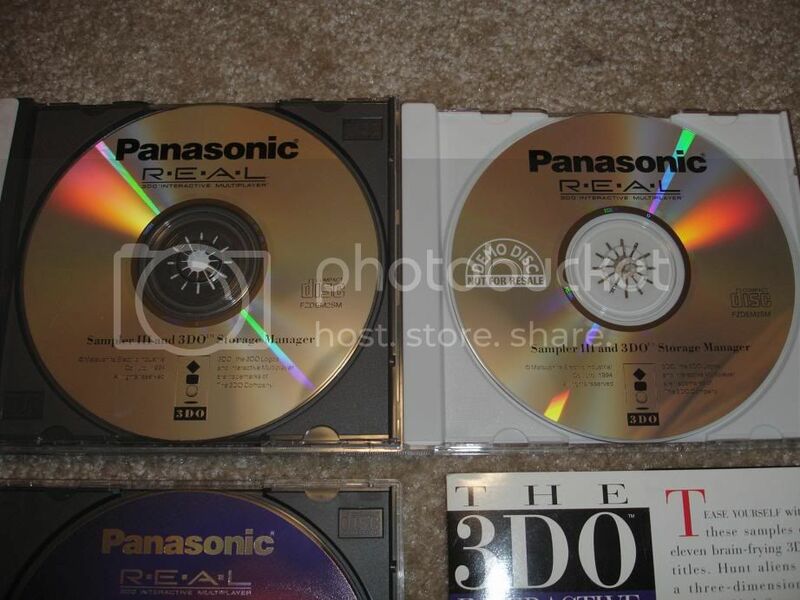 Pics moved to Pitsunami's 3DO collection. I know Primal rage and super Street Fighter 2 were the best ports on 3DO definately! The white lynx is very very nice. Really great just to see that this stuff exist and is in good hands! thanks for sharing...maybe you can post the findings and anyone can help you with the iso building! Please change the thread's title to : who else except bitrate has m2 hardware!! Last year's was great,so i am definately in for this year! Does anyone knows how many deifferent exactly exist? Topic: It's 1991, you are Trip Hawkins, what do you do? All we need now is a time machine!! 3DOKid wrote: I'm sorry, I'm allergic to red. Please try GREEN! Welcome back T2K! Hope things goes well for you from now on. Topic: The 'My old car' thread. 3DOKid wrote: Take it to the NEW!!! LOOK!!!! 3DO M2 Forum. go on. have a look! Every cd which comes with the white 'DEMO DISC NOT FOR RESALE' logo are from the demo disc binder! Happy birthday from me too! Go out and have a few beers on me! I own a boxed Fz-35s and one unboxed,all the M2 arcade boards complete and a FZ-55! Still chasing a dev kit...but no luck!